Our shop is here to keep your business or organization profitable and productive. With a fleet that spends all of its time on the road instead of in the garage, you’re able to get more accomplished. Carlisle Air Automotive in San Antonio, TX is a full-service repair facility that specializes in fleet services. Our technicians are experienced with makes, models, and sizes of vehicles, including trucks, Sprinter vans, and buses. Your fleet has a schedule to keep and we perform the maintenance services and repairs that keep you on time for every appointment. Carlisle’s team of ASE Certified techs are the reason that buses are able to keep their schedules. Timing is everything when it comes to quality fleet services. We’ll design a maintenance schedule that’s perfectly suited for your vehicles’ purposes. Keep your tour buses, school buses, shuttles, delivery trucks, and heavy-duty trucks running at peak performance. We’ll make sure you avoid costly repairs to your fleet with our preventative maintenance services. Timely tune-ups and oil changes are the secrets to a healthy engine. Our thorough inspection services will analyze your engine systems, mechanical systems, and electrical systems. We use state-of-the-art technologies and service techniques to service all of your vehicles. You’ll avoid time-consuming misdiagnoses for your vehicles when you bring them to Carlisle Air Automotive. Find out the truth about your fleet’s condition. Don’t wait until you have a breakdown that prevents your business from operating at full strength. Our team keeps you two steps ahead of any performance issue. Normal wear-and-tear from excessive road travel will keep your vehicles from running properly. Expert diagnostic services and equipment make sure your fleet stays road-ready. Save time, money, and stress by visiting us today to start a maintenance service plan. 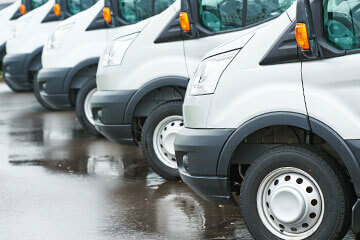 Schedule Your Fleet Services Today! Today’s a good day to get your fleet on an effective service plan. We’re your preferred service technicians in San Antonio. Our fleet customers trust our services because they’re thorough and highly effective. Let us perform our thorough inspection and diagnostic service for your business or organization. We also specialize in A/C or Heat services to your vehicles. During certain seasons, a broken air conditioner or heater will make your vehicle undriveable. We keep you from losing time and money while your business operations are compromised. Take a trip to Carlisle Air Automotive at one of our convenient locations– fleet service in North San Antonio or fleet service in South San Antonio.